Want to get rid of that snow quickly and easily? 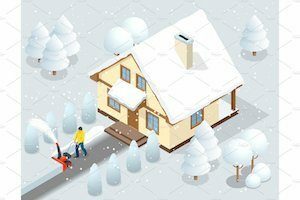 If you simply despise cleaning up snow, and this type of heavy-lifting isn’t your idea of a fun exercise, you should definitely consider buying a snow blower. When we first started looking for the best snow blowers, the Briggs and Stratton snow blower reviews surprised us. User experiences are so overwhelmingly positive, that we simply had to check it out for ourselves. Here is a quick summary of what we think of this snow blower. 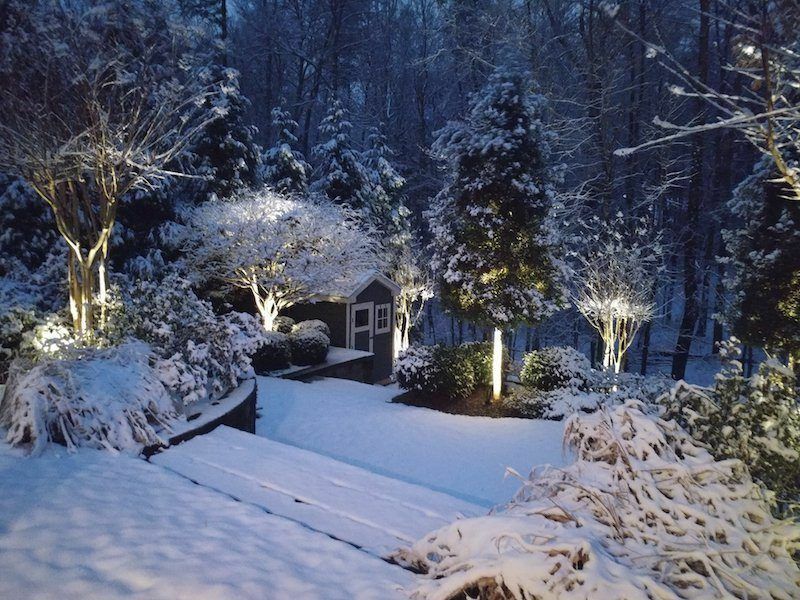 What to look for in a snow thrower? Briggs and Stratton Snow Blower Reviews: What is it Best For? When looking for a snow blower, there are several things to take into consideration. Is it electric or gas powered? Do you need to handle small, medium, or large amounts of snow? What type of terrain will you be working on? How large is the area you need to clean? Does it manoeuvre well? Is the engine powerful enough? This kind of information can be tricky to find, so we decide to make things easier for you. 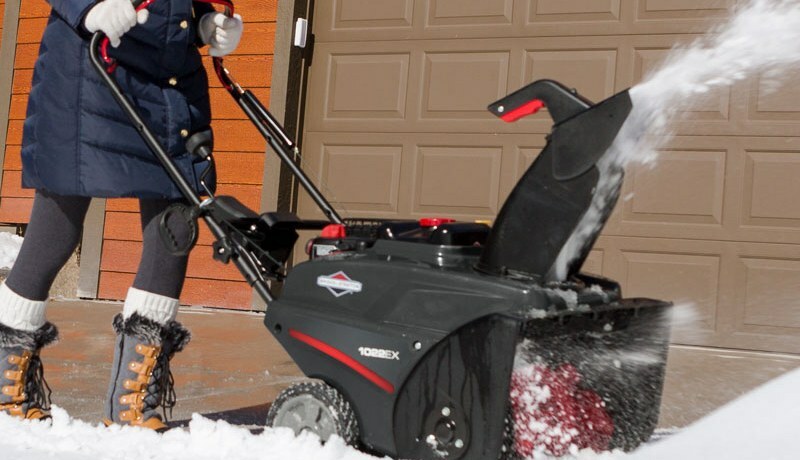 Here’s a full review of one of the most popular single stage snow blowers. You can tell that this little winter warrior has a lot to offer just by looking at its specs. Its engine displacement is 208cc. This little four-stroke engine has 9.50 pounds of torque and a recoil start for easy starting during those cold winter days. The drive system is auger assisted, so you know it will clear the snow all the way down to the pavement. 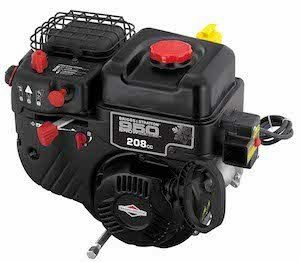 When it comes to the design, Briggs & Stratton is a company that really pays attention to details. This snow blower weighs 93 pounds; its dimensions are 47.8 inches in depth, 40.7 inches in height, and width of 23.1 inches. It is compact, and not too heavy, so anyone should be able to handle it. The unit sits on two plastic wheels that are 8 x 2 inches, and rather sturdy. What we especially liked here is the fact that they took the cold into consideration. Since you’ll be using this product to get rid of the snow, you’ll probably be wearing gloves. With some other model, that might be a problem, but with this machine, you don’t have to worry. The controls are oversized so you can operate this snow blower without a hitch even with thick gloves on. Under the hood of this model is a lovely little gas engine from Briggs & Stratton with a 208cc displacement. It is a part of their 950 Snow Series Engine, that was specially made temperatures up to 20 degrees below zero, and harsh winter conditions. The starting recoil system guarantees an easy start no matter the temperature. When it comes to this snow blower, the engine relies on a 0.8 gallons fuel tank that is able to throw snow to a staggering distance of 30 feet. In real life, that looks something like this – we used it on about 6 inches of heavy snow, and we used it for 2 hours straight. We cleared all that we could possibly find with it – driveways, sidewalks, entry walkways… And it only spent 3 quarters of its tank. The engine is really amazing, and a real representative of the 950 Snow Series. So, even though most people look to avoid single-stage snow blowers, we believe this one packs quite a punch and is more than up to the task. The auger is made of plastic and enhanced with rubber edges. It has 10 inches in diameter, and it can clear the snow down to the pavement thanks to its wear-resistant design. It won’t fall apart quickly, so you don’t have to worry about having to change it each year. Next, to cleaning, it does one more thing, that will make it easier to use this unit – it helps to push it forward, making handling easier. The chute is made of the same plastic as the auger. It has a crank rotation mechanism that is pretty basic, as well as a 200 degree turning radius. What we like here is the handle-mounted crank. This small detail will let you change the direction of the discharge while moving through the snow. Not needing to take a break just to set it up is a big plus when temperatures are low. 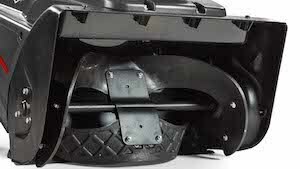 Just like the chute, the deflector of this snow blower also has a quick-adjust mechanism. All you have to do in order to adjust the height and distance of the discharge is to squeeze it. This feature will make your work so much easier. Thanks to the fact that you can set everything while on the move, this snow blower handles like a dream. 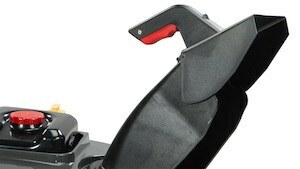 Its auger is propelling it forward, making it even easier for you to handle. Also, no matter how tall you are, you’ll find that handles on this thing are at the perfect height. We tested it on a fair amount of snow, and it doesn’t shake, doesn’t pull too much, and doesn’t jump when it runs into chunks of snow. It is rather light, so anyone can use it, regardless of strength. According to the manufacturer, this model Is best for small to medium surfaces. So, if you want to clear your driveway or your front yard, it’s perfect. When it comes to the surface type, it works best on flat surfaces that are paved – that is where it can clear the snow all the way to the pavement. You can use it on gravel surfaces, but only if you are ready to risk throwing small rocks at your neighbors. With an intake height of 12.5 inches and the clearing width of 22 inches, it can take light to moderate snow. That is why this probably isn’t the ideal model for those who live in an area with heavy snowfalls. But, if you’re somewhere where you need to clear moderate snow multiple times per year, this single-stage model is the perfect fit. ANSI certified CSA certified, and CARB compliant, this Briggs & Stratton snow blower is simply amazing. This company is well known for durable, high-quality products, and they did not disappoint with this model. The auger, the body, and the chute are all made of thermal plastic urethane. That means that the entire thing is lightweight, but also very sturdy. Thanks to this material, this Briggs and Stratton single stage snow blower will last for years. Briggs & Stratton stands behind its products for 108 years now, with all of its power expertise. They build durable equipment that performs just as it should, and they offer the worldwide to support you can rely on. So when they say that they offer a 3-year warranty, you can believe that it will be so. All you have to do in order to use it is contact your local Authorized Briggs & Stratton dealer. The warranty is, of course, limited to manufacturing defects, but all details about it are available on their official website in the Support section, under Warranty Information. They have nothing to hide, so go ahead and check if their conditions suit you. Assembling things you ordered online can be a daunting task. Manuals can be confusing, images with explanations can be terrible, and customer support lacking. We have to say that we didn’t have to go through any of that with this snow blower. The user’s manual is incredibly clear and simple, so nothing can confuse you. We’re only averagely handy, and we managed to assemble it within 20 minutes. Just like every machine, this one will need some maintenance over time. After all, nothing runs on goodwill alone. Luckily, maintenance for this snow blower isn’t difficult, or dangerous. There are many authorized dealerships, so you won’t have to go through hell and high water for Briggs and Stratton snowblower parts. Another great plus lies in the fact that the manufacturer is always ready to help with the maintenance. You can call their support center, visit their website and chat live with their reps, or go to the FAQs page, and check if answers you need are there. The FAQs page is very well done, with most of the important questions fully answered. So if you’re wondering which oil and how much of it is necessary for your snow blower, how to clean the engine, or how to fix some of the smaller issues on your own – you’ll find your answers there. It is compact, which doesn’t only make it easy to manoeuvre and control, but also easy to store. Convenient to use thanks to the fact that you can remotely adjust both the chute and the deflector. 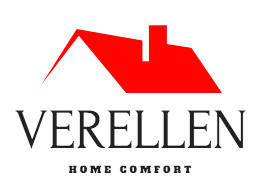 Great warranty and fast customer support. Rubber blade, although tough, is still not as tough as serrated metal, so this snow blower can’t do gravel surfaces. No headlight, so you can’t really operate it in the evening. The wheels might be too small for pushing uphill. According to the manufacturer, this little guy performs best on flat ground, so that isn’t a surprise. 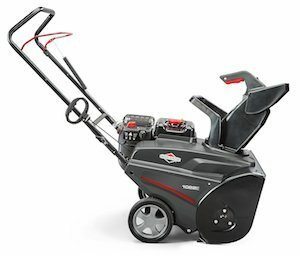 We spent a lot of time testing this single stage snow blower, and we have to admit, the Briggs and Stratton snow blower reviews from users were all true. It’s a great machine that has enough power to clear the snow, while still being light enough for anyone to handle, and small enough to be easily stored. Based on everything we have seen here, we can honestly give it a 4.8 star rating. Nice information and good review blog. 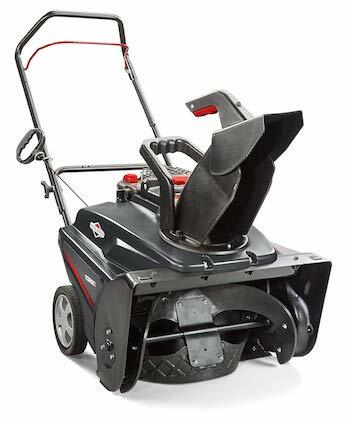 Really Briggs and Stratton Dual-Stage Snow Blower are Durable design and multiple speeds snow blowers.